There are three main problems that can occur within your spine: cervical spine issues, thoracic spine issues, and lumbar spine issues. Here are the differences between these problems and how you can diagnose them. The cervical spine is in your neck region and houses the spinal cord that sends messages from the brain to control all aspects of the body. It consists of seven bones which are separated by one another by intervertebral disks. These disks act as shock absorbers. Overtime, intervertebral disks become worn and can begin to degenerate. 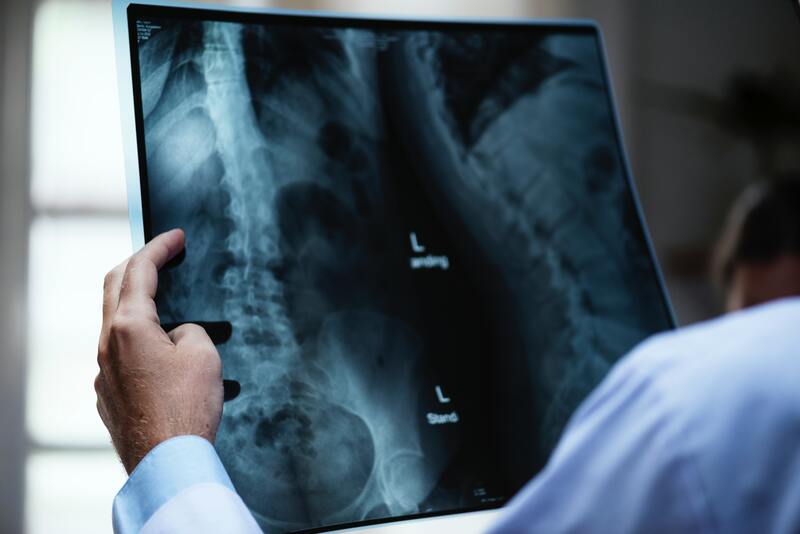 This process is known as cervical degenerative disk disease, and research finds that approximately 25% of people under 40 and 60% of people over 40 have some degree of degenerative disk disease. Neck pain and a stick neck are symptoms of cervical degenerative disk disease. The thoracic spine runs from the base of the neck down to the abdomen. It protects the spinal cord and anchors the rib cage. The thoracic spine consists of twelve vertebrae. Two major issues that tend to happen in the thoracic spine are muscular problems and joint dysfunction. Muscular problems are usually felt in the upper back and shoulder muscles. Joint dysfunction can happen when cartilage tears and degeneration develops in the fact joints. There are lots of symptoms of thoracic spine issues including: stiffness, limited range of motion, muscle spasms, nerve pain, muscle weakness, and stooped posture. The lumbar spine is in the lower back, where the spine curves inwards toward the abdomen. It’s built for power and flexibility—lifting, twisting, and bending. The lumbar spine has two vertebrae and provides protection from jarring movements. Lower back pain is normally caused by the following: muscular problems, degenerated disks, and lumbar disk herniation. Out of these issues, lumbar disk herniation is the most common problem. A herniated disk happens due to injury or heavy lifting. Interestingly, leg pain (sciatica) is the most common symptom of a herniated disk. If you believe you are suffering from one of these problems, it’s important to have a spine doctor diagnose you. Contact Sonoran Spine today to speak to our experts. about spine issues and management methods.